If you work in a field that requires business casual attire or any other type of basic dress code, then you know the importance of always having a clean, crisp shirt ready to start your work day. 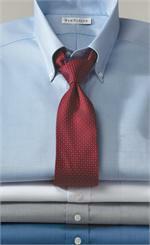 Van Heusen has been at the forefront of smart, sophisticated workwear for decades. 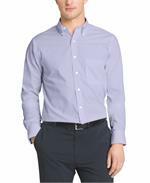 GarffShirts’ selection of Van Heusen shirts for men is so impressive that we know you will find the perfect shirt for whatever occupation you have. If you want to look your best at work while remaining comfortable and relaxed, then you’ve certainly come to the right place. 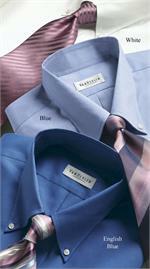 Van Heusen dress shirts are a part of the long, storied history of the success of Van Heusen. 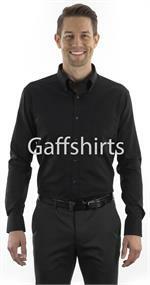 These shirts remain so popular because of their smart, hard-working construction and soft, comfortable materials. 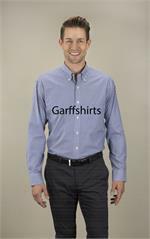 At GarffShirts.com, we have a wide variety of Van Heusen uniform shirts, each made for different occupations and situations. 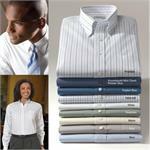 Whether you work in an office setting or as part of a catering team, we have the perfect type of shirt to fit your needs. 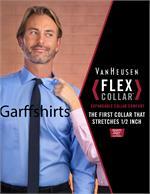 Take a look at our full Van Heusen shirt inventory today at GarffShirts.com!